During this program, we will review Los Angeles pace year to date and hear from key industry leaders on market and region trends, opportunities, and potential challenges we may face to close out 2018. Our presenters will speak to destination marketing, demand drivers, the global economy, technology, and new supply, while offering tips on leveraging analytics and tools to be the most profitable heading into the holiday season. Bruce Baltin is a Managing Director of CBRE Hotels’ Consulting leading their Los Angeles practice. In his more than 40 years with PKF Consulting, which was acquired by CBRE in July of 2014, Mr. Baltin has had a wide diversity of experience in the Hospitality and Tourism industries including market demand studies, valuations, economic and operational consulting and dealing with leases, franchises and management contracts. His industry experience includes hotels, resorts, clubs, restaurants, theme parks, and national and state parks. He has worked extensively with various governmental entities in tourism and hospitality real estate issues. He has frequently been quoted in the national and local press and testified as an expert witness on various industry issues. Prior to joining CBRE he taught at the University of Nevada, Las Vegas and was corporate operations analyst for the Sheraton Corporation of America. He has taught extensively in the Collins School of Hospitality Management at California Polytechnic Institute, Pomona. He is an Adjunct Associate Professor teaching courses in the Masters of Real Estate Development program at the University of Southern California. He is a member of various professional and community organizations. CalTravel is the umbrella trade organization for California’s travel and tourism industry. As president and CEO, Newton is responsible for leading the organization to protect and enhance travel and tourism’s interests through advocacy, collaboration, and education. 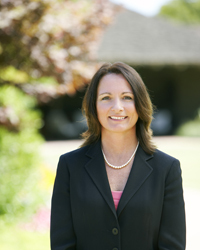 Prior to joining CalTravel, she was president of Sunset Publishing, a diversified publishing company based on the leading media brand in the West. Under her leadership, Sunset launched and grew award-winning California events, an international wine competition, new digital travel tools, and partnerships with many California travel and tourism organizations and businesses. She came to Sunset from Milwaukee,Wisconsin, where she was president of Reiman Media Group, a Midwestern lifestyle media company that included an international tours company and travel magazine. She began her career at Rodale, Inc., where she rose to SVP Managing Director of Women’s Heath Worldwide. Newton has also consulted on strategic planning and business development for clients such as National Geographic, AAA, General Mills, Time Inc., and Readers Digest. Newton serves on the board of U.S. Travel, Big Brothers Big Sisters Bay Area and the Cal Poly RPTA Advisory Board, and has a BA and MA from Lehigh University. She and her husband Jeff and two children live in Woodside, California with their two beach-loving border collies.